The counters may not always be 100% streak free, and there are always at least a few crumbs on the floor, but it's a warm, happy place that smells like a mixture of hazelnut coffee and whatever Bath & Body Works candle I just picked up on a 2 for $22 deal. It's a place of no judgment, where I'll let you hop up onto my counter for a seat, like I do most nights when I get home from work. If it's morning, I'll offer you a cup of coffee from the Kuerig, and maybe even some of that deadly lemon creme cake! If it's night time (or past noon), I'll pour us a glass of wine and offer you some of the BEST cheddar cheese and crackers. 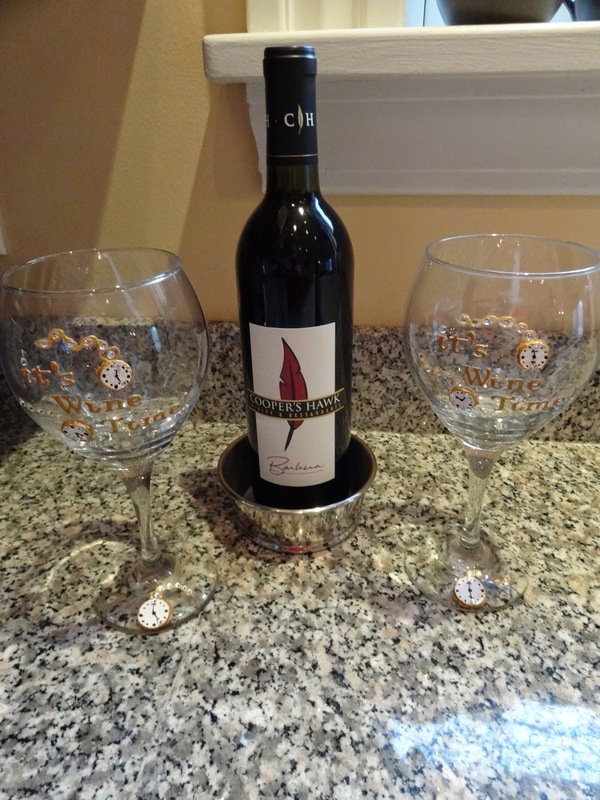 We'll sit down at our kitchen table, gossip a little (because we like to keep it real around here), and I'll hope you stay for "just one more glass." 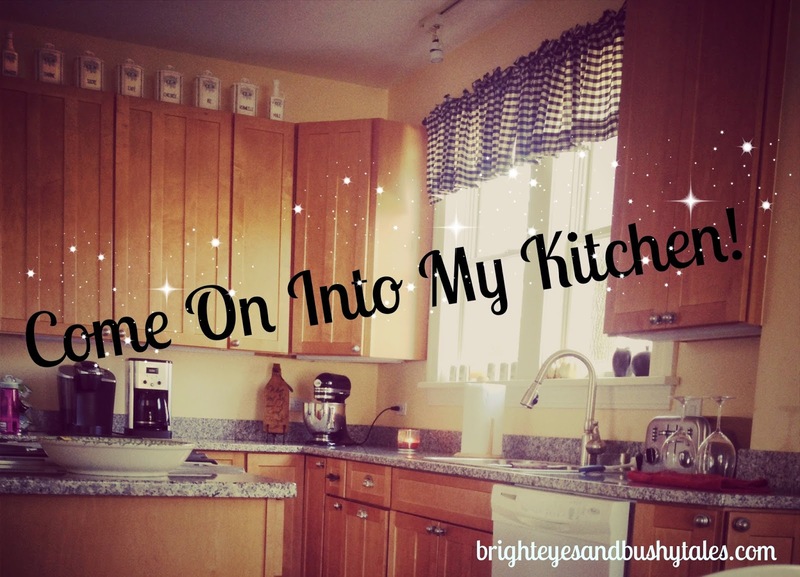 So, come on in, and today, I'd show you how we do Chili in this little yellow kitchen! 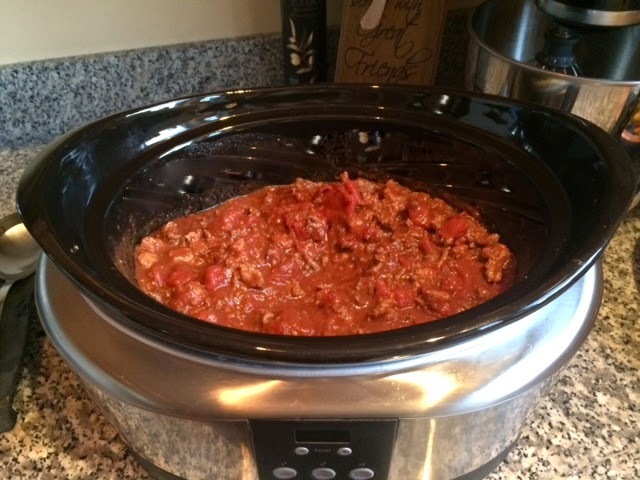 There's nothing quite like starting a batch of Chili in the crock pot in the morning, having those smells swirl around the house like a warm blanket all day, and curling up on the couch in front of the TV with a bowl ready to watch some football. Chili was never really one of my very favorite things. The Chili obsession didn't really start until I met my husband. If you know my husband, you know he loves him some Chili. Every restaurant we go to, if they have Chili on the menu, you better believe he's getting a bowl. I know for a fact that Justin's Chili obsession came from his mom's Chili (so good! ), which is where I got my recipe started. What you need to know is that every year, Justin's mom and one of his Grandmas get together and can a bunch of tomatoes in mason jars. 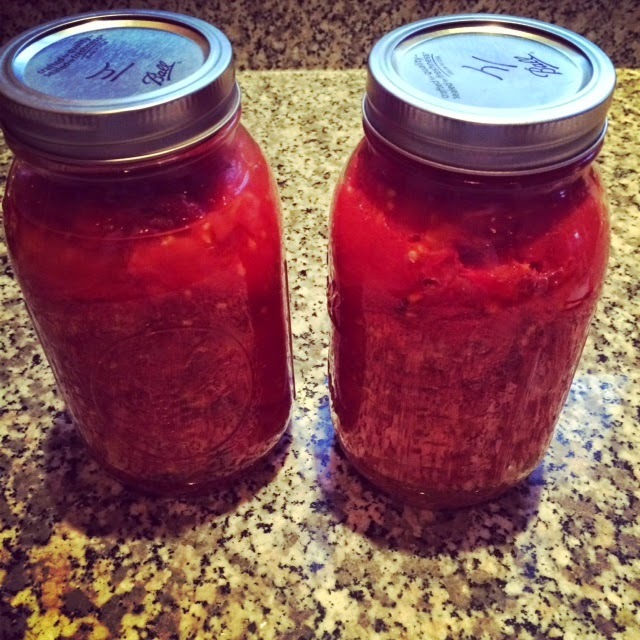 The canning extravaganza results in a surplus of mason jars full of tomatoes, which I can't wait to get my hands on to make us some Chili! I have tweaked the original recipe over time, probably mostly to fit my taste, but it still makes my husband very happy. Red pepper flakes - only to taste! 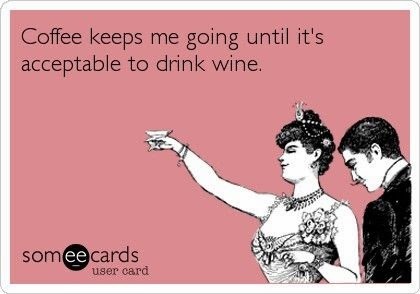 I start with 1/4 tsp. Fixins': Fritos, shredded Mexican cheese, sour cream. Combine all of the above ingredients, minus the fixins', in a large crock pot and stir until combined. Set crock-pot to low and cook for 8 hours, or as long as possible to be heated through. The longer the cooking time, the better. Low and slow wins this race! As it's cooking or near the end, taste test for spice level and you can always kick it up by adding more red pepper flakes and/or Tabasco sauce. It's easier to start less spicy and add more heat as you go. When you're ready to eat (game time!! ), serve up chili in bowls and top with Fritos, cheese, and sour cream to your heart's desire. Don't forget the Fritos!! 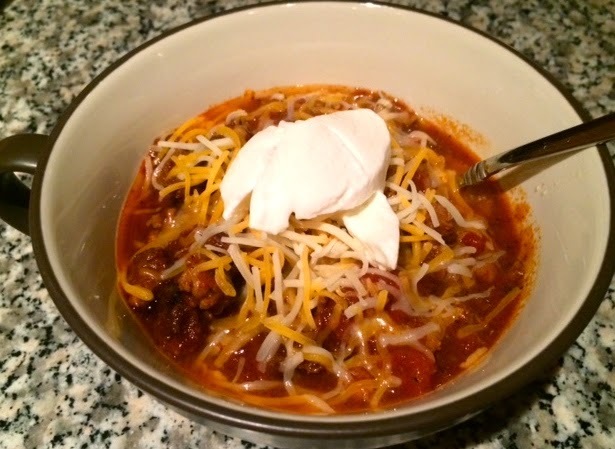 This Chili recipe is not complete without them! And, because everyone knows I'm a sucker for products, I have to share with you the most perfect Chili bowls on the planet!! We registered for these bowls for our wedding, and Justin's mom got them for us, because she obviously knows how they were just made to be filled up with some Chili! 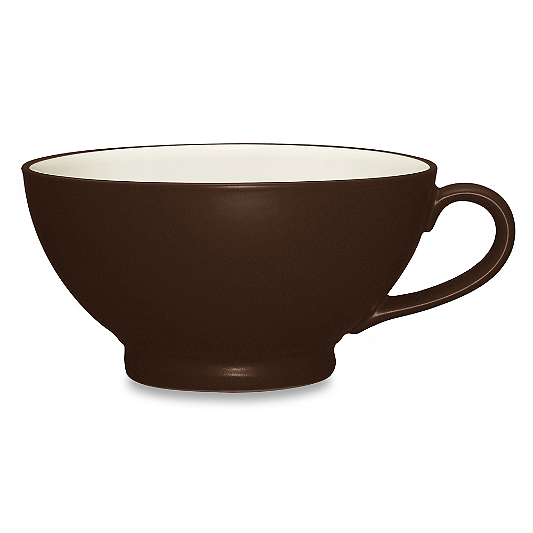 These bowls are the perfect size for Chili (and all soups for that matter) and they have a HANDLE. Perfect for couch dining, because that's where Chili should be eaten.